Cockapoo Club Chat forum access, classification, support, promotion of litters available, interaction with past customers who will also promote your Cockapoos. All Cockapoo Club Chat forum members are only permitted to openly name, promote and recommend CCGB Approved Breeders. CCGB Approved Stud Logo for display on your website/promotional tools. PLEASE NOTE: Due to a large decline in our number of Inspectors and Club Officers, we are currently unable to offer Inspections in the South West, Wales and Scotland. Anyone interested in becoming an Inspector, or joining as a Club Officer, please email us. Also, again due to low numbers, and busy lives of our volunteers, the Inspection process does take a number of weeks. Please check that you have complied with our Code of Ethics before applying. 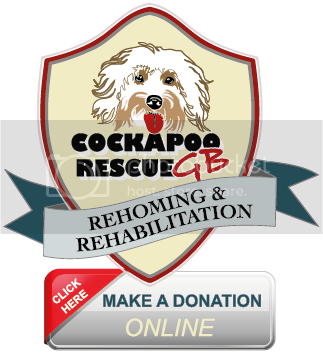 Please take a few minutes to let us know why you would like to become a Stud Member of The Cockapoo Club of GB. We would love to know about the dog(s) you have and what you already do. Please submit a few lines in the box provided below. Commitee members will then look at your application and, if approved, you will be proposed and seconded. Once accepted as a Member you will be placed on the Approved Stud Members pending list awaiting a visit from a CCGB Inspector. After a successful inspection your dog(s) would be listed on the website as Approved CCGB Stud Dog(s) and be offered a linked profile section on the website to promote your stud dogs. The Cockapoo Club of GB, The Co-operative Bank, 08-92-99, 65528349. Please check the box below if you choose to pay by bank transfer. If you do not get a confirmation message, please edit the form as required.